Apple Takes On Distracted Driving With New Feature : The Two-Way The new feature blocks notifications while users are driving, but a loophole could allow text messages to still pop up. At the Apple Worldwide Developers Conference in San Jose, Calif., on Monday, executives announced the upcoming "Do Not Disturb While Driving" feature for iPhones. We all know that cellphones and driving can be a dangerous mix, and yet a quick glance at the sound of a ping can be irresistible to many motorists. So beyond turning off your cellphone or leaving it at home, Apple has a new solution aimed at keeping drivers' eyes off the screen and on the road. When Apple's iOS 11 update comes out this fall, it will include a "Do Not Disturb While Driving" mode. 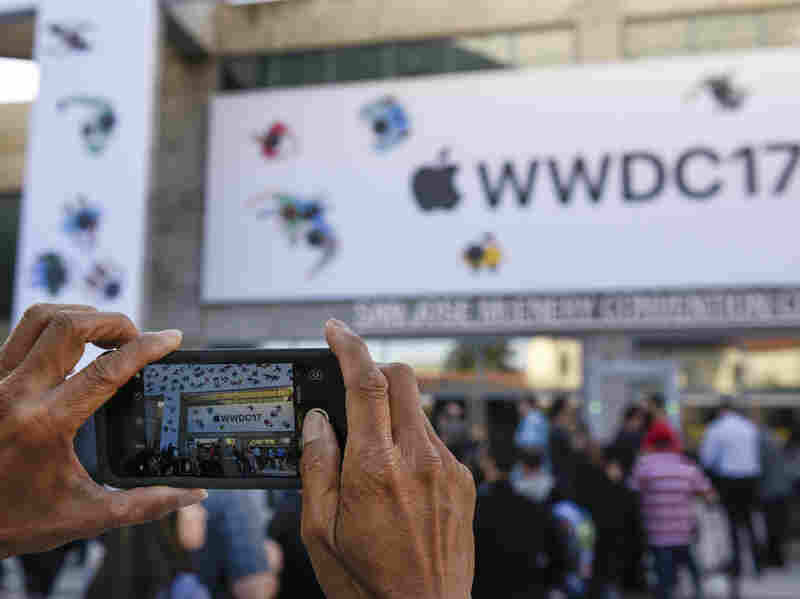 Apple's senior vice president of software engineering, Craig Federighi, announced the feature at the company's Worldwide Developers Conference in San Jose, Calif., on Monday. USA Today reports that when the feature is turned on, your iPhone can detect when you are driving and will automatically mute all notifications; so amid a flurry of texts, posts or tweets, your screen remains dark. Contacts can receive an automatic reply saying that you are driving and will get back to them once you arrive. There remains some wiggle room, however, so it's unclear just how effective the setting will be. Users can allow certain contacts to get through so "you have the peace of mind that you can get contacted," Federighi said. Federal data show that every day, eight people are killed and more than 1,000 are injured because of distracted driving. And on any given day, around 660,000 people are on their cellphones or other electronic devices while driving. Apple's move follows a lawsuit filed by a family in December 2016, after their 5-year-old daughter was killed by a distracted driver allegedly using the FaceTime video chat feature. The lawsuit said that despite filing a patent in 2014 on a safety feature to block the use of FaceTime by drivers, Apple had failed to implement it. Joel Feldman also lost his daughter to a distracted driver in 2009 and founded the advocacy group End Distracted Driving. He said that while he welcomed Apple's move, it is not a quick fix. "We should not lose sight of the fact that drivers using the iPhone are involved in thousands of crashes," Feldman told the Huffington Post. "Crashes involving iPhones will continue." The group advocates changing "our culture so that just like with drunk driving, distracted driving will no longer be socially acceptable."